Show us your 2019 Prom Style! Don’t miss your chance to win a LJIC Spa Package! 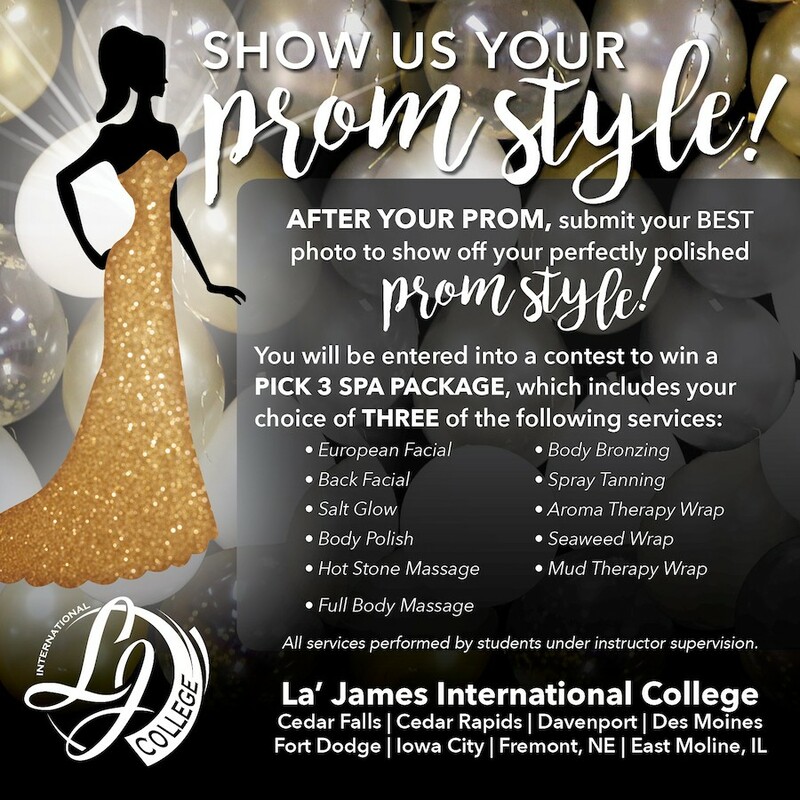 Upload your best picture from this year’s prom (see form on the right) for a chance to win a Spa Package with your choice of 3 of the following services – European Facial, Back Facial, Salt Glow, Body Polish, Hot Stone Massage, Full Body Massage, Body Bronzing, Spray Tanning, Aroma Therapy Wrap, Sea Weed Wrap or Mud Therapy Wrap. All services performed by students under instructor supervision. Tag us! Use the hashtag #LjicProm to tag us in all your social media posts! Contest entries must be received by May 31, 2019. Please provide your information and photo entry for the contest. Please upload your best picture from Prom 2019. Please note, file must be jpg, jpeg or png and less than 7MB. By clicking the SUBMIT button as my official signature, I give permission to La' James International College to use my name and uploaded photograph on its website or in other official La' James International College social media postings about the contest without further consideration. Please click submit button only once.